Lisa Jones, resident of Potomac Gardens (foreground) listens to presentations on the development of Beuchert’s Park. Foulger-Pratt’s rendering of the finished product. Safeway and its developer partner Foulger-Pratt, along with Councilmember Charles Allen, a Mayor’s office rep and the project’s financier dug their shiny new shovels into a long box of sand yesterday, symbolically breaking ground on the Beckert’s Park mixed use development on the site of the Southeast Safeway. 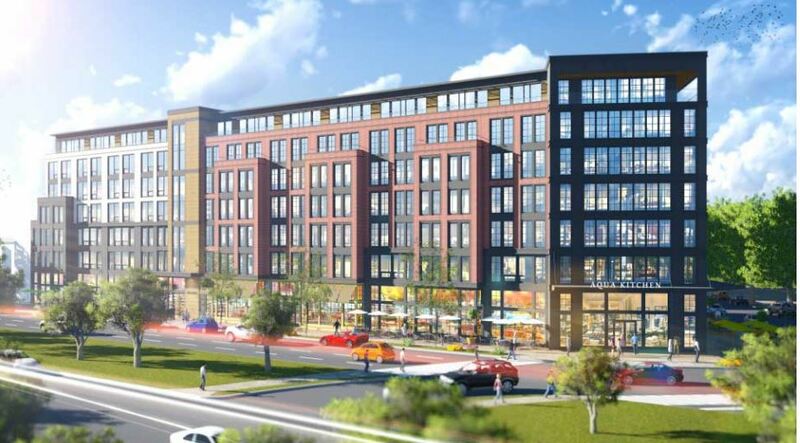 The project will take two years and when complete will deliver 325 luxury apartments, 8,500 square feet of neighborhood retail, and a new and larger Safeway store to the community. 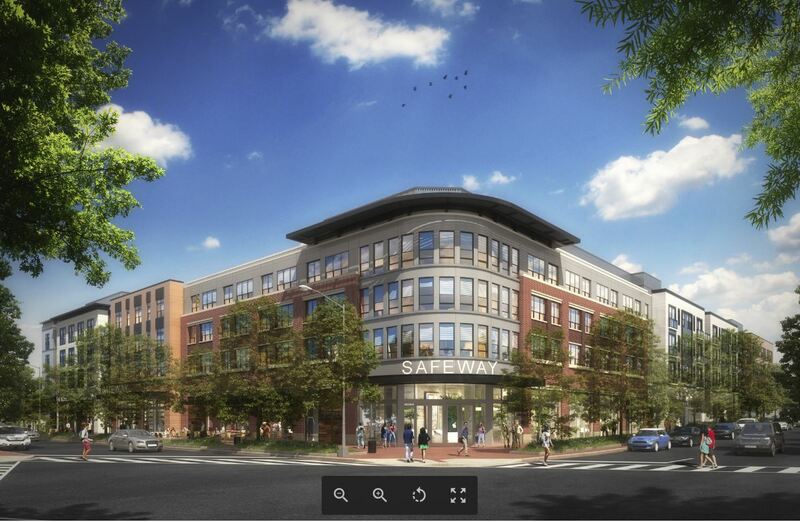 Capitol Hill Corner asked Tim McNamara – Senior Real Estate Manager for Safeway – what his vision was for the new Safeway in light of competition from Harris Teeter, Whole Foods, and now Trader Joe’s, and what Lisa Jones would find when the new store opens. In his remarks to the assembly, CM Charles Allen welcomed the opportunity to use space in a different way, lauding the new housing units and that 45 of the 1 and 2 bedroom apartments will be “affordable” – meaning that they will be available to those earning 60% of the Area Mean Income – about $52,000 to $60,000 a year. Foulger-Pratt will own the residences while Safeway retains ownership of the store. Foulger Pratt intends to own their part of the project “forever” according to one of their speakers. The Safeway will employ 180 – many of the previous employees will return and new workers will be hired. The store will feature home delivery, as well as a “Drive Up and Go” pickup service. Capitol Hill residents and stakeholders met Monday night to discuss Barracks Row “pain points.” Click to enlarge. MPD First District Commander Kane (center said police presence on the block would be increased. Also pictured at left is First District Captain Knutson. Police presence on Barracks Row, circa 8:30am, Tuesday. Police presence, Barracks Row, circa 7:45pm Tuesday. 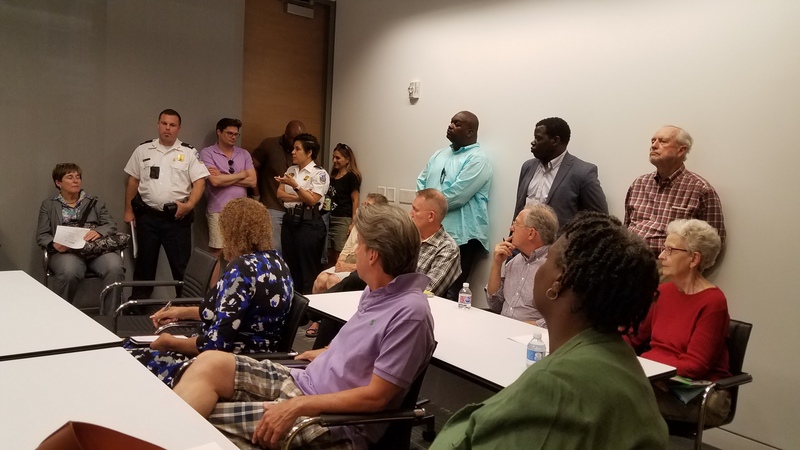 Monday night, Jennifer Samolyk’s ANC6B Outreach Task Force convened residents and stakeholders to take a hard look at Barrack Row’s most troubled block – the west side of the 400 block, opposite the Fire Station. The businesses on that side from north to south include Starbucks, &Pizza, The Nail Spa, Popeyes, Be Here Now Yoga, Chipotle, Eat Bar, Bolis Pizza, Capitol Hill Tandoor and Grill, Chi Ko, Bank of America ATM, a for-lease retail space, and 7-11. Attendees wanted to know why the west side of the block is a gathering place for panhandlers and people with mental or substance abuse problems. That environment fosters drug sales, bathroom issues, littering, and frequent encounters with unconscious substance abusers. One resident said he does not walk his child down the block. Commissioner Samolyk said she doesn’t either. 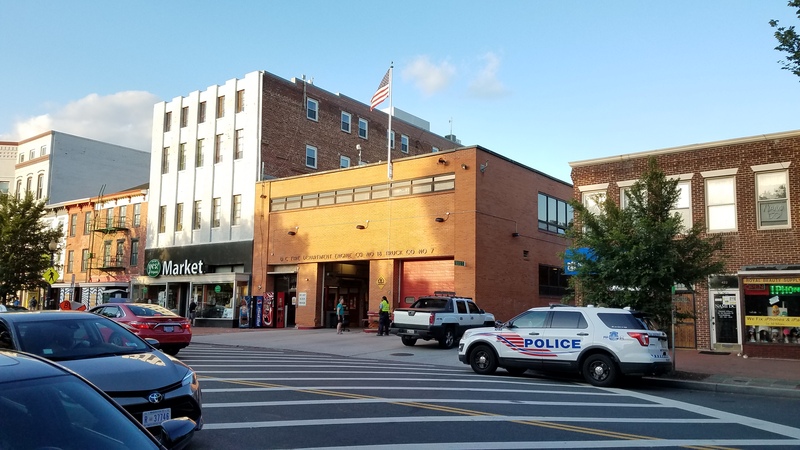 MPD First District Commander Kane, who was at the meeting, said she has a child and walks on Barracks Row, adding, “I see what you see…it’s gotten worse…it’s on our radar”. When asked why people hang out on the 400 block, she said,”I don’t know.” Kane acknowledged a need for stronger enforcement in order to send a message, but that strong enforcement is tempered by police having to distinguish criminal acts from mental or substance abuse issues …”We try to be understanding but when problems escalate, we have to take action”. She expressed concern about taking somebody who can’t take care of themselves and putting them into the criminal justice system. Kane pledged to double the police presence in the area, assigning a second MPD police officer to the block, providing a police presence from 6:00 or 7:00am until 9:00 or 10:00pm. 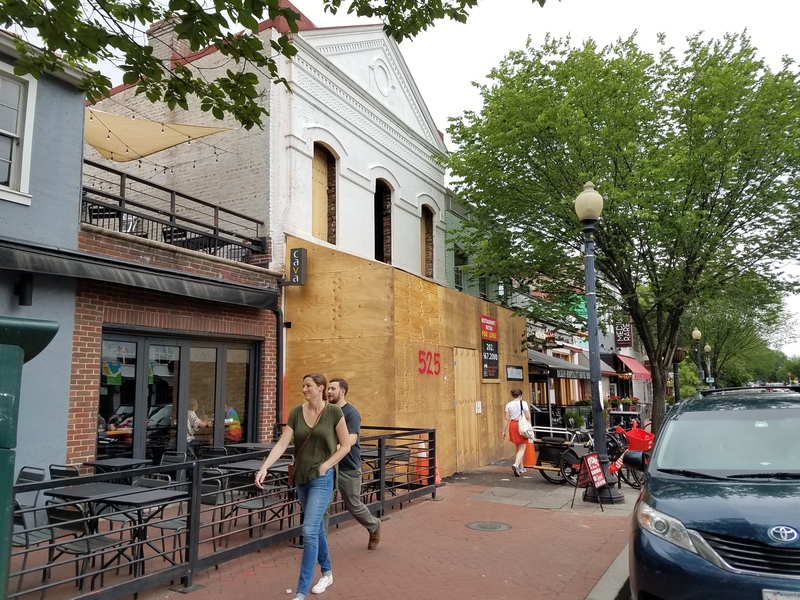 A Barracks Row business owner from the 700 block asked Smith to pressure businesses on the 400 block to police their public space, saying, “…the block is incredibly dirty – filthy”. Smith said that “We try as much as we can – the 400 block is challenging…we urge businesses to engage with the public space, but they say it’s not a high priority”. ANC6B Chair Dan Ridge urged the Task Force to propound at least one recommendation to forward to the full ANC for action, suggesting advocating for a bill now in committee providing for public bathrooms. There are other recommendations which would be helpful, such as urging the owner of Tandoor Grill to erect a construction fence in front of the closed restaurant, urging Community Connections to take stronger measures to see that their clients do not remain in the area following treatment, and demanding that Bank of America take accountability for their trash strewn and problematic ATM (the card accessible door has been broken for days, allowing free entry into the space). In the end, however, the Task Force was satisfied with the airing of issues and the promise of increased police presence on the block. 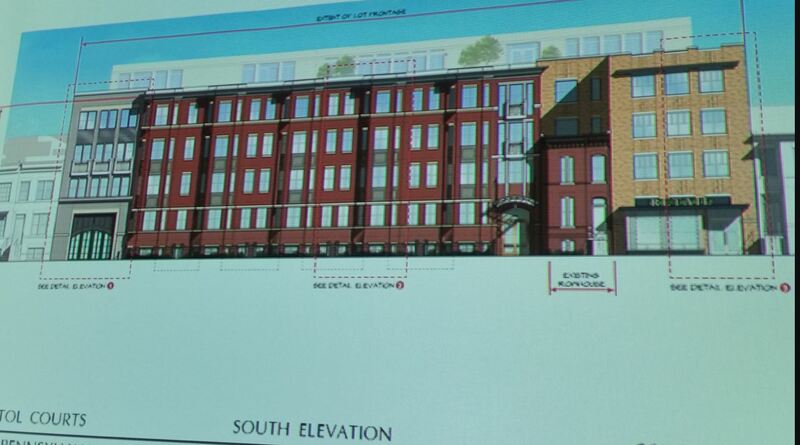 The Task Force meeting revealed how difficult it is to address what Samolyk called the “pain points” on Barracks Row. MPD First District Captain Knutson emphasized that MPD can make arrests and increase enforcement – “…that’s an easy fix, but it doesn’t solve the problem”. It’s more difficult to address the underlying structural problems. This reporter’s take-away from the meeting? Vague promises were made of greater liaison between stakeholders (MPD and Community Connections and Sasha Bruce Youthworks and Community Connections), but no concrete plan about how to coordinate efforts to resolve outstanding issues emerged. MPD has limited ability to deal with individuals causing quality of life problems (anti-loitering laws have been ruled unconstitutional). In addition, the criminal justice system is overwhelmed which leads to failure to prosecute and quick release. Also, possession or sale of the synthetic drug K-2 which is largely responsible for the substance abuse issues on the block is not illegal. Community Connections has limited capability to influence their clients to be good neighbors and is short funded to boot. Sasha Bruce Youthworks doesn’t really deal with the Barracks Row demographic of those causing problems on the 400 block. Sympathetic residents who support panhandlers are part of the problem. Barracks Row Main Street doesn’t have the money to address the structural issues or help businesses on 400 block beautify their operations. The difficult underlying structural problems on the block remain difficult problems. ANC6A Transportation Committee meets at 7:00pm, Capitol Hill Towers, 900 G Street, NE. Notice: Previously announced request by On the Rocks (1242 H Street NE) to offer valet parking has been indefinitely postponed. Notice: Public meeting on reconstruction of the Hopscotch Bridge (Unit – 200 Block of H Street, NE) on Thursday, June 21, 6:00 – 8:00 pm at Northeast Neighborhood Library Meeting Room, 330 7th Street, NE. Public space permit application for installation of staircase and ADA ramp for Eliot-Hine Middle School, 1800 Constitution Avenue, NE. Consideration of public space permit for sidewalk café for DC Diner at 802 13th Street, NE. 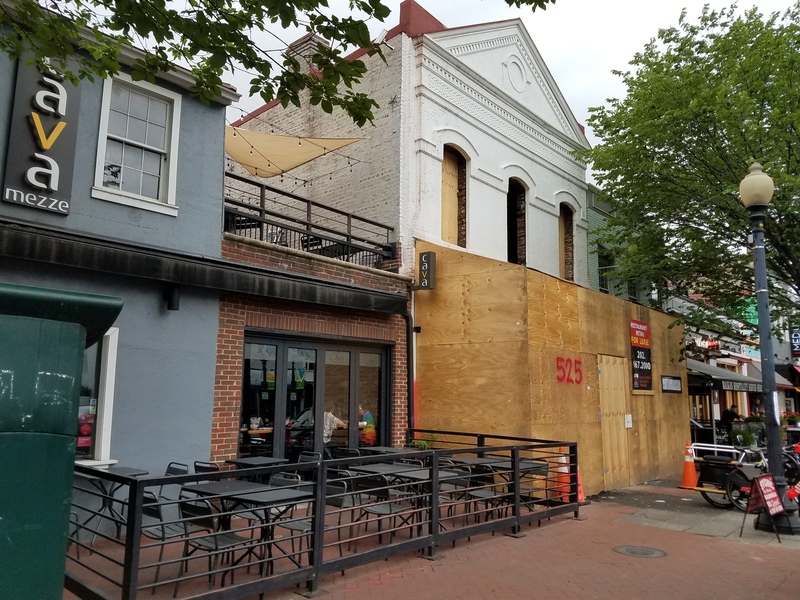 Discussion of a new establishment, Smokin’ Pig, 1208 H Street, NE – potential transfer of license from Touche, 1123 H Street, NE, and request for a stipulated license while the placard is pending. Presentation by David Batista on behalf of new establishment opening in the Apollo development on H Street NE. Note: Establishment is located in ANC 6C, but adjacent to ANC 6A. Capitol Hill Restoration Society Board of Directors meets at 6:30pm, Capitol Hill Townhomes, 750 6th Street SE, second floor board room. ANC6A Economic Development and Zoning Committee meets at 7:00pm at Sherwood Recreation Center, 640 10th Street, NE. 518 9th Street, NE and 816 E Street, NE – Request for a special exception to permit two existing primary buildings on a single record lot in the RF-1 Zone. 1016 Massachusetts Avenue, NE – Request for special exceptions to construct a third-story rear addition to an existing principal dwelling unit in the RF-1 Zone. 1318 Constitution Ave, NE – Request for a special exception under to construct a rear roof deck and access stairwell in the RF-1 Zone. 121 Tennessee Avenue, NE – HPRB Review of a request to construct a rear addition to an existing nonconforming structure in the Capitol Hill Historic District. 1511 A Street, NE – Request for lot occupancy relief for new construction of two adjoining lots (two units each). Sector 2 (PSAs 104, 107, 108) Community Meeting at 7:00pm and a location to be announced. ANC6B met last Tuesday at full strength. Barracks Row issues figured prominently on the agenda. The Department of General Services has extended the licenses of the Saturday and Sunday flea market operators to continue the flea markets on the 300 block of 7th Street for an additional six months. The intent had been to move those operations to the newly re-opened C Street between 7th and 8th Streets by now. 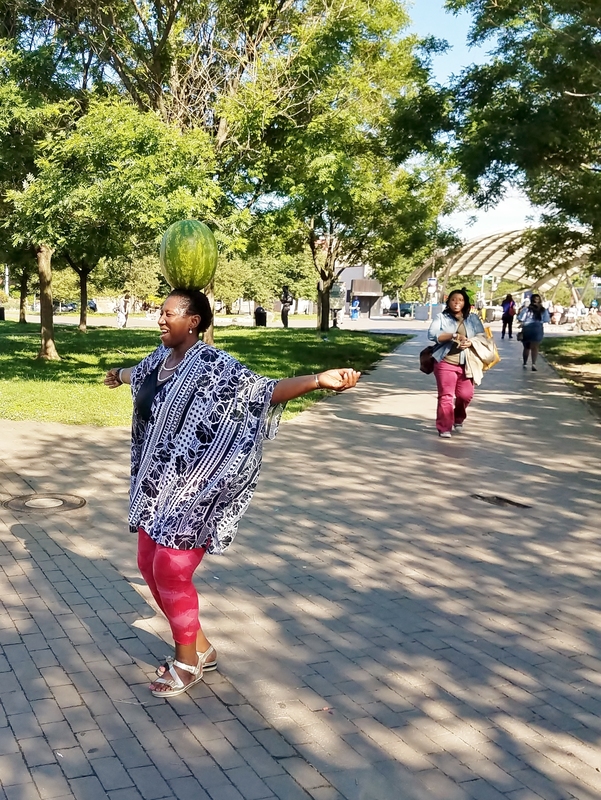 Controversy over how to provide for the survival of Eastern Market as a food market while accommodating the needs of the outside merchants and retailers in the areas surrounding the market has stymied those seeking a compromise. CM Charles Allen got the city to budget $300,000 for the Office of the Deputy Mayor for Planning and Economic Development to develop a five year strategic plan to determine how best to ensure the future of Eastern Market and determine the best use for the Eastern Market special use area encompassing all of the areas around the market where retail activities occur. An additional $25,000 will be used to develop a security plan for the 200 and 300 blocks of 7th Street; the favored approach seems to be securing the access points to that portion of 7th Street with pop-up bollards. 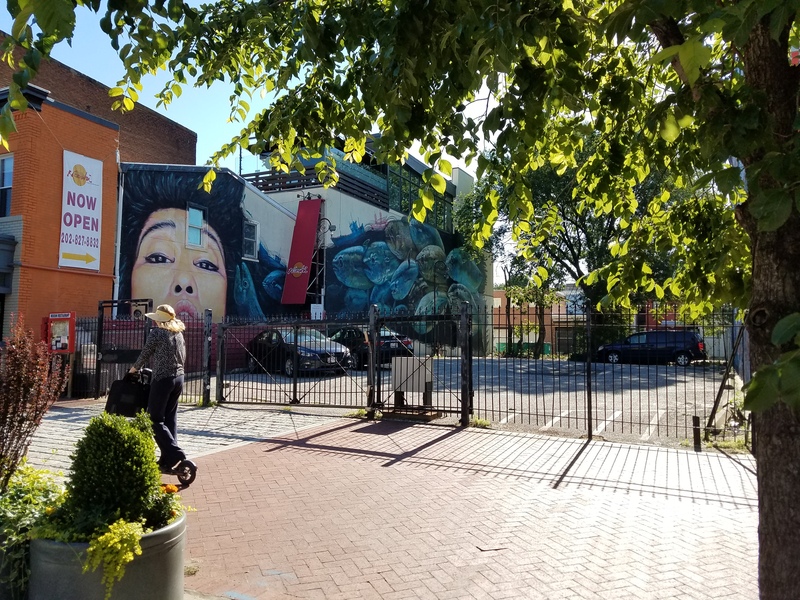 ANC6B Commissioner Jennifer Samolyk, chair of the commission’s Constituent Services and Community Outreach Committee, will hold a meeting to discuss issues related to the 400 block of 8th Street. The block has been plagued with drug and panhandling problems. The Shakespeare Rehearsal Space at 507 8th Street, SE, also includes Shakespeare’s costume design studios. The former Phase 1 at 525 8th Street, SE. Here’s the rendering of the concept/plan for the Shakespeare parking lot at 526 8th Street, prepared for the Historic Preservation Review Board. The third story will be set back 42 feet from the front of the building. A concept/plan is intended to indicate the massing and scale of a project rather than accurately depict how the building will appear upon completion. The orange building is the location of Garrison’s restaurant – behind and above is Nooshi. 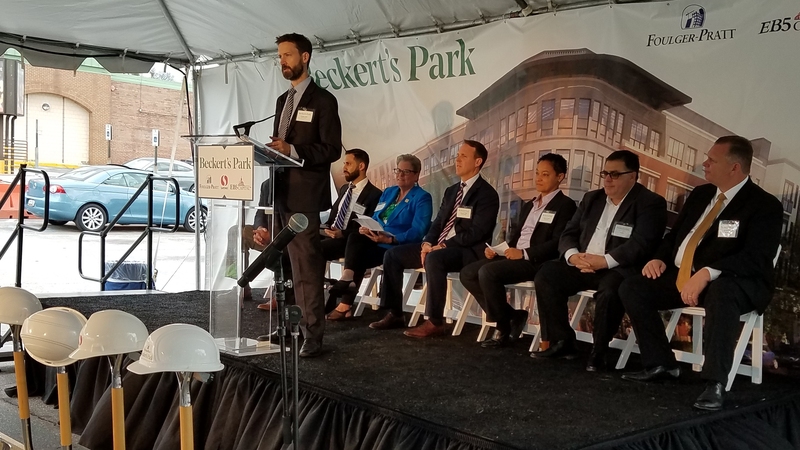 Tuesday night, Chris Martin of Martin-Diamond Properties, unveiled a concept/plan for development of the last empty lot on Barracks Row – the Shakespeare parking lot at 526 8th Street, SE. Appearing before ANC6B’s Planning and Zoning Committee in support of an Historic Preservation Application for a proposed new three-story mixed use building, Martin introduced himself to commissioners as the owner of the former Phase 1 tavern at 525 8th Street and said that he has a contract pending for the purchase of the Shakespeare Rehearsal Space at 507 8th Street, SE. Martin-Diamond is a partnered with an international investment company specializing in developing retail properties targeting Millennials. 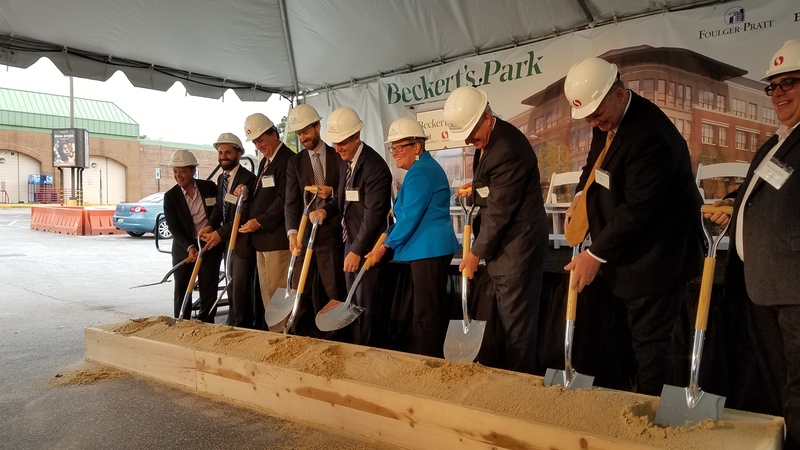 Martin, who said he was excited to be part of the development of Barracks Row, later told Capitol Hill Corner that he did know what tenants might occupy the retail spaces the new building will provide. He said they could be dry goods retail, offices, or a restaurant. Martin also said that he was uncertain what would emerge from the renovation of the Shakespeare Rehearsal Space, assuming that purchase goes through. The former Phase 1 (and AXNO cider bar pop up) is undergoing extensive renovation and is up for lease as a restaurant. 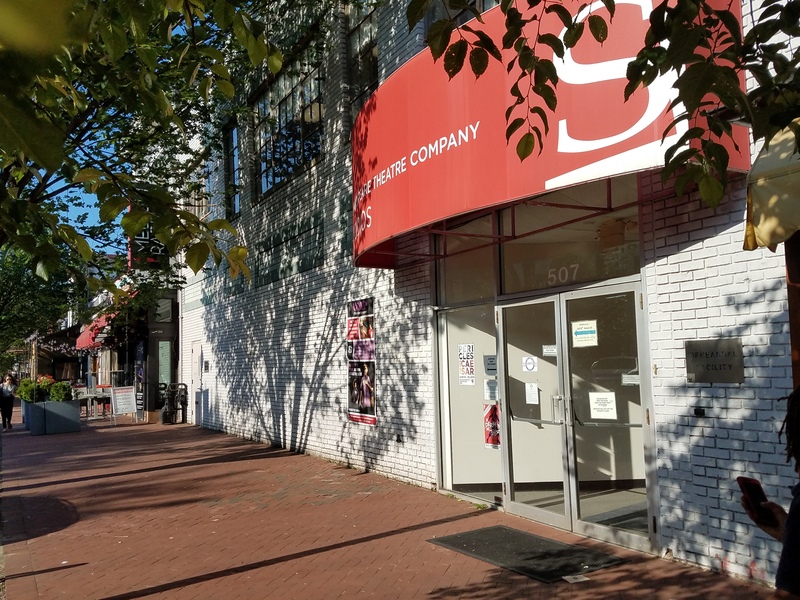 The timeline for the parking lot and rehearsal space development is uncertain because both are currently under lease to the Shakespeare Company. 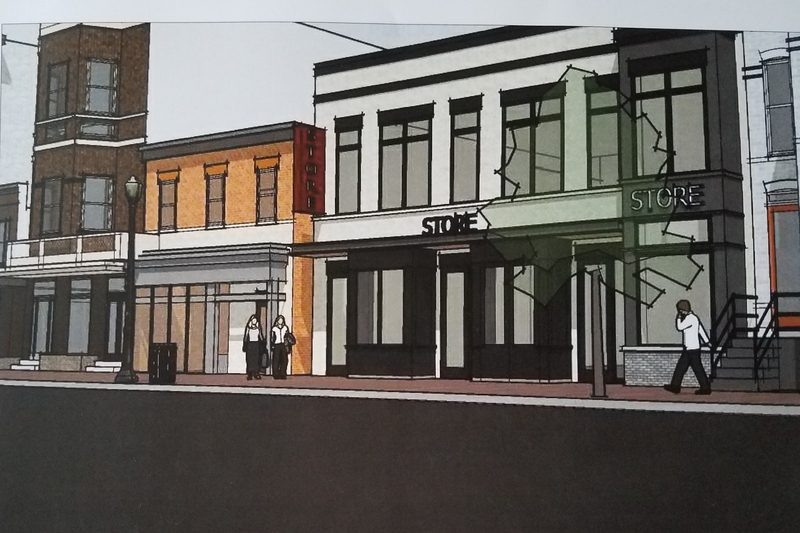 Nearby neighbors – residents of G Street – whose properties back up to the Shakespeare parking lot, raised concerns regarding what impact the new structure would have regarding traffic in the alley which they use to access garages. They had other concerns about the lack of notification of the project and lack of communication with the developer. 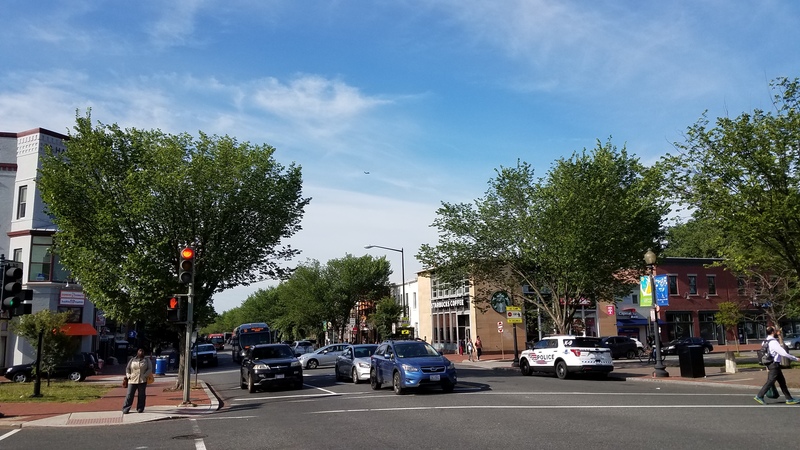 In order to allow time for the residents to meet with the developer, the Committee voted unanimously to take “no position” on a recommendation for the full ANC6B which will consider the case at its June meeting next Tuesday, June 12. Martin-Diamond Properties LLC, is an “urban retail specialist” headquartered in Delaware with an office in DC. It has partnered with NW1 Partners, a real estate investment advisory firm focused on small cap value-added property investments in the US, UK, and Europe. NW1 raised $175 million this year to invest in Washington, DC, retail outlets focusing on Millennial demographics. Martin-Diamond’s job will be to find and manage real estate opportunities; in March, they purchased the Georgetown Theater building on Wisconsin Avenue. NW1 is headquartered in London and Chicago. There are five major residential or mixed use projects under construction in Capitol Hill SE, not counting the redevelopment of the Southeast Safeway which hasn’t really started yet. The five projects will provide some 514 residential units to Capitol Hill’s housing stock. Below are photos of where construction stands as of yesterday, coupled with renderings of how the projects will look when finished. As completed. 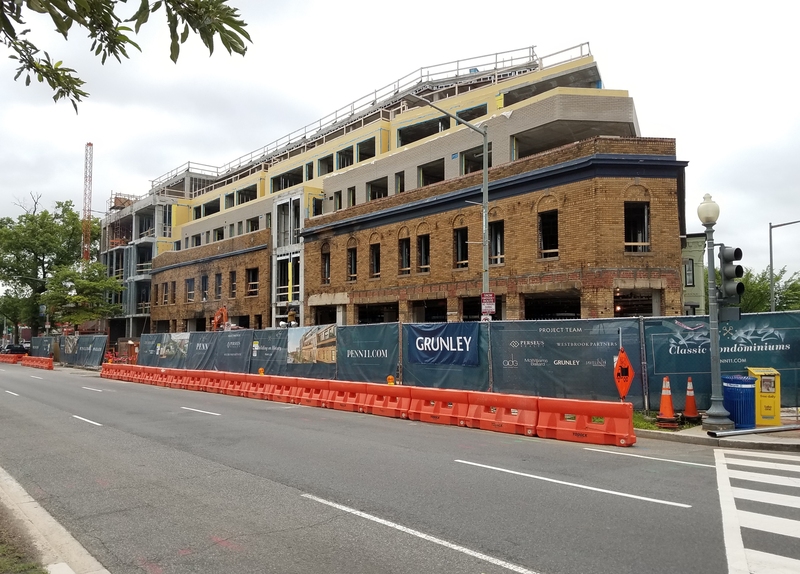 The original Frager’s site on the 1100 block of Pennsylvania Avenue SE, is being developed by Persus Realty. It will be mixed use retail/residential, with 30 to 40 high-end one, two, and three bedroom condo units, weighted heavily to the larger units intended to accommodate families. Frager’s Hardware will occupy 8,500 square feet of the retail space. Current status of Watkin’s Alley. Completed. 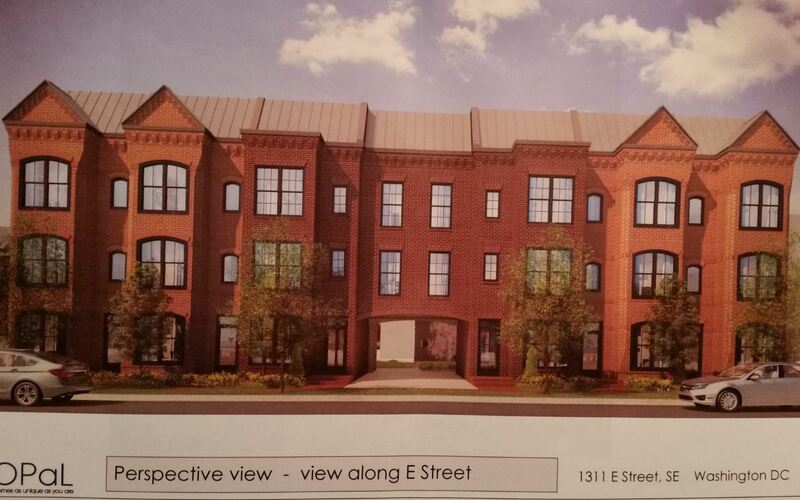 Opal LLC is developing Watkins Alley on the 1300 block of E Street, SE – a 43 unit condo project. Current status of Lockwood Apartments. 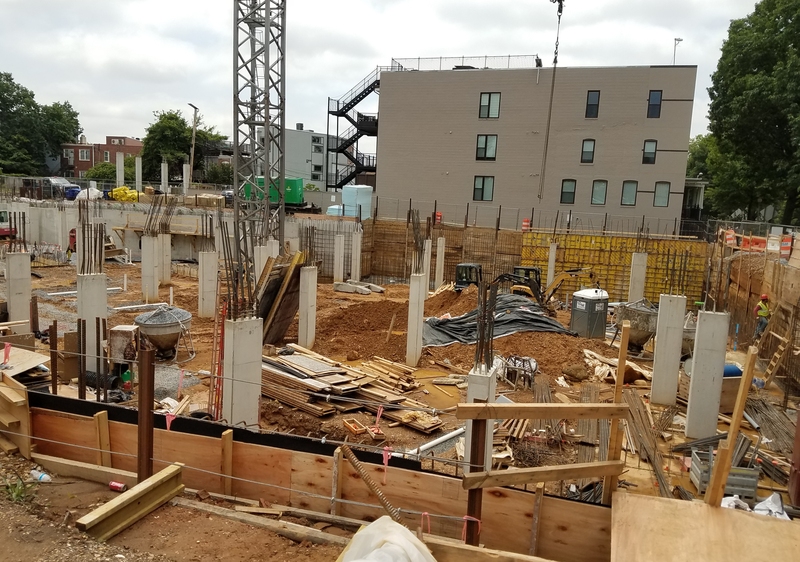 On the same 1300 block of E Street, Insight Development is building the Lockwood apartment complex – 145 1, 2, and 3 bedroom units. Developers have just started on Capitol Courts. SGA Architects’ plans for Capitol Courts on the former Frager’s Garden Center in the 1200 block of Pennsylvania Avenue, SE, call for a 117 unit mixed use development. Some 100 of the 119 units will be 400 square foot “junior bedrooms” – there will be a few one bedrooms and larger units. The plan for Capitol Courts includes 5,000 square feet on the ground floor for a specialty foods and deli outlet featuring principally prepared food. Here’s what 1401 Pennsylvania Avenue looks like today. When completed. 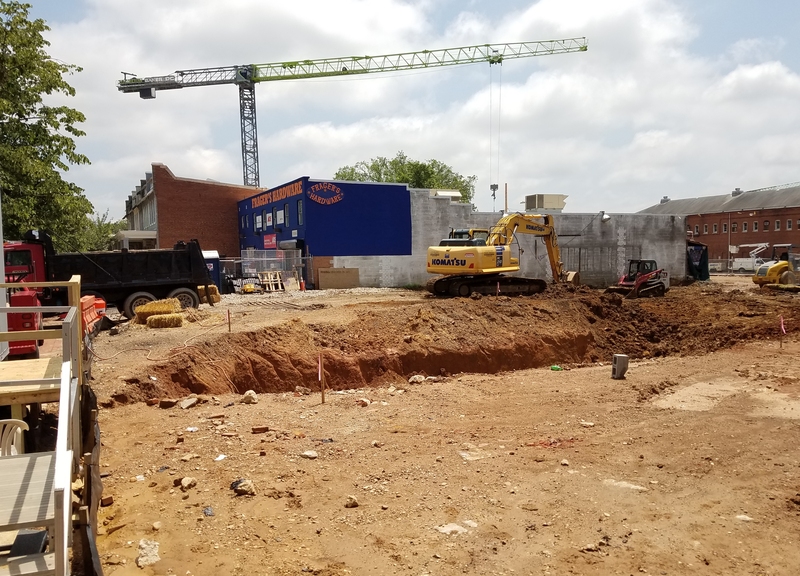 At 1401 Pennsylvania Avenue, SE, CAS Riegler is building a mixed retail/apartment project with a strong retail component – 19,000 square feet “Class A” retail and 174 residential units. There have been reports that CAS Riegler plans a “mini-Union Market” for the first floor retail of the building. 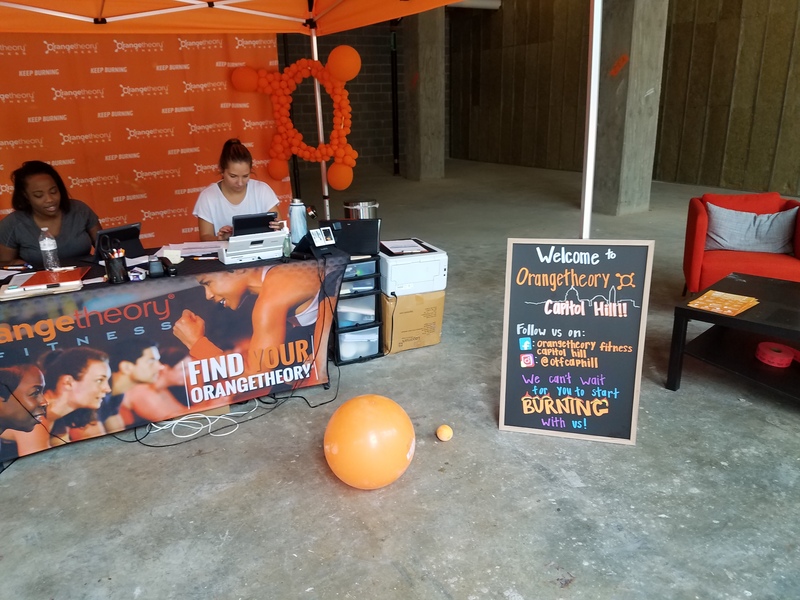 ANXO: The Barracks Row pop up Cidery & Pintxos Bar which opened in the former Phase 1 space at 525 8th Street appears to have relinquished the spot which is currently for lease and under extensive renovation. Kogod Liquors, 441 New Jersey Avenue, NW, tasting endorsement for retailer’s license. Union Kitchen Grocery, 538 3rd Street, NE, discussion of noise issues. Second Ward 6 Candidate Forum at 7:00pm, Westminster Presbyterian Church, 40 I Street, SW.
ANC6B Planning and Zoning Committee meets at 7:00pm at St. Coletta of Greater Washington, 1901 Independence Avenue, SE. 232 South Carolina Avenue, SE – Historic Preservation application, revised concept/front and side porch. 14 7th Street, SE – Historic Preservation application, concept/one-story addition at side-court. 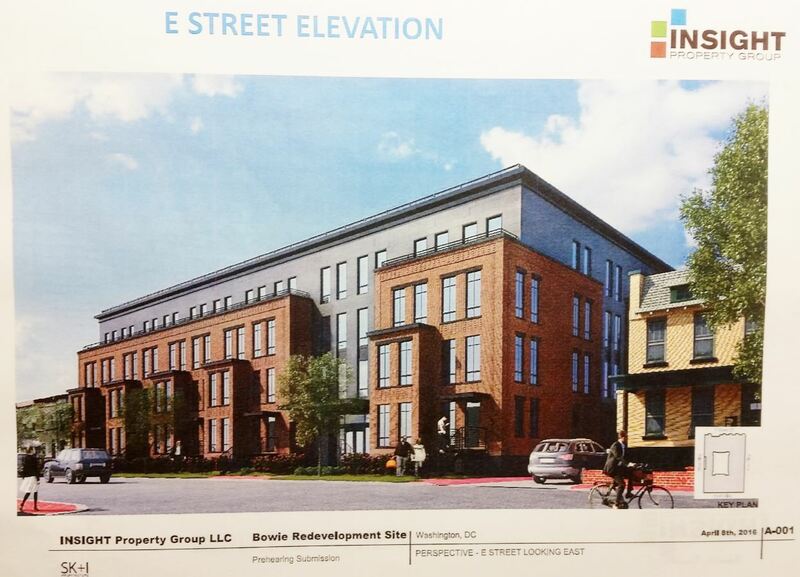 526 8th Street, SE – Historic Preservation application, concept/new three-story mixed use building. 322 8th Street, SE – Bureau of Zoning Adjustment application for special exception to construct a second story and roof deck addition to an existing accessory structure. 322 8th Street, SE – Historic Preservation application, concept/ construct second-story addition at existing one-story garage. 237 10th Street, SE – Bureau of Zoning Adjustment application for special exception to expand an existing rear deck addition to an existing principal dwelling unit and construct a rear accessory garage. 237 10th Street, SE; Historic Preservation application for concept/ new one-story garage. ANC 6C Parks & Events Committee meets at 7:00pm at Kaiser Permanente Medical Center, 700 2nd Street, NE. 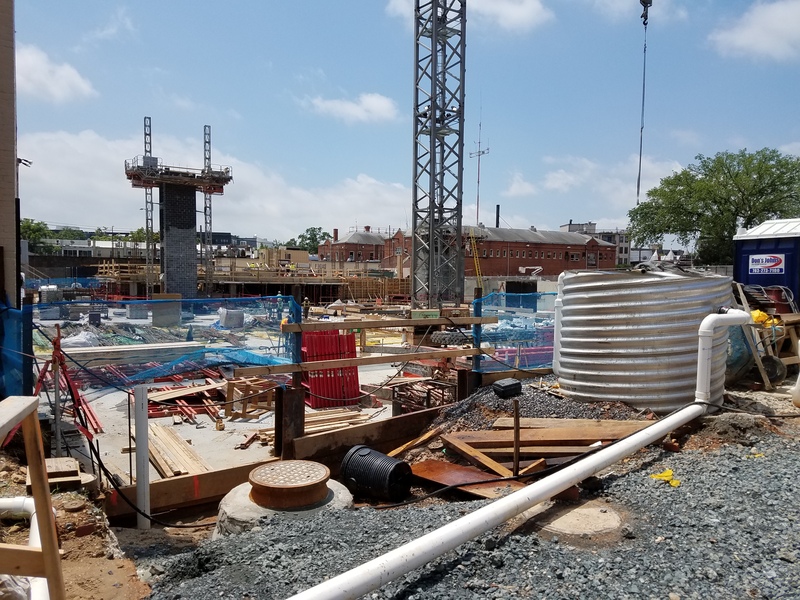 NoMA Parks Foundation – update on status of pending parks projects and underpass installations. ANC 6C Planning, Zoning, and Economic Development Committee meets at 6:30pm at Northeast Library, 7th and D Streets, NE. 212 A Street, NE – Historic Preservation application for concept approval for new rear and side additions, and to demolish existing and construct new garage. 719 3rd Street, NE – Historic Preservation application for concept approval for new basement entry and alterations to basement window. 637 E Street, NE – Historic Preservation application for concept approval for new basement entry. 2nd & K Streets, NE – Discussion of ANC recommendation to the Zoning Commission on whether to set down for public hearing the request of Lean Development to change the zoning of four lots on the moderate-density commercial and production/distribution/repair to a mix of moderate-density mixed use and medium-density, compact mixed-use development with an emphasis on residential use. Southeast Blvd & Barney Circle Study Traffic Analysis. Watkins Market Resumes – 3:30pm – 7:30pm – 13th & E St, SE next to Peter Bug’s Shoe Academy. Market will begin June 6 and continue every Wednesday through October. ANC6B Alcoholic Beverage Control Committee meets at 7:00pm at Hill Center, 921, Pennsylvania Avenue, SE. Barracks Lane Restaurant, 517 8th Street, SE (formerly Las Placitas) – new application for a tavern license with sidewalk café endorsement. Seating for 99 + 12 seats on sidewalk café; Proposed Hours: Sun. — Thurs. 10am – 1:30 am; Fri. — Sat. 10am – 2:30 am; Sidewalk Hours: 10am – 12 Midnight. Discussion on compliance with settlement agreements. ANC6C Transportation and Public Space Committee is scheduled to meet at 7:00pm at the Kaiser Permanente Medical Center, 700 Second Street, NE. Discussion of Union Market Streetscape – As the Union Market area continues to transition from a commercial warehouse and wholesale market district to a mixed-use activity center, the roads crossing through the neighborhood are seeing a corresponding increase in pedestrian and bicycle traffic. However, the existing streetscape does not support these changing transportation patterns. 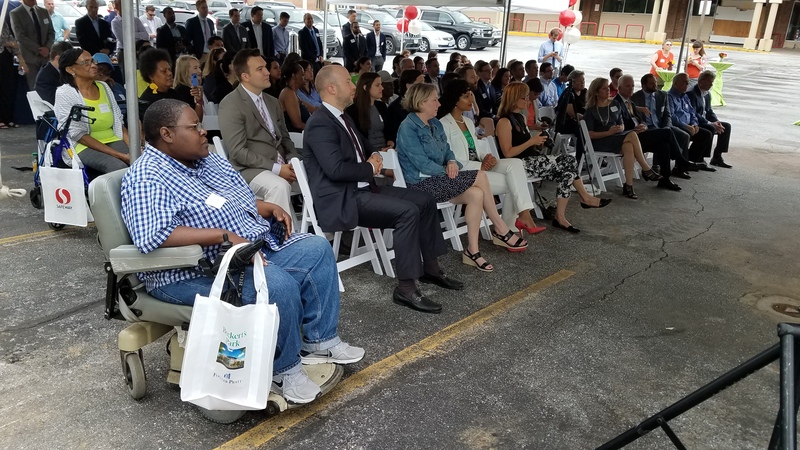 As a condition of a PUD in the area DDOT collaborated with area developers, business owners, Gallaudet University, and the DC Office of Planning to draft Union Market Streetscape Guidelines to update roadways and public spaces throughout the area for future use. However, these guidelines were drafted and published in October 2017 without neighborhood outreach and ANC input. The Committee would like to discuss current streetscape conditions in the area, short-term solutions to increase pedestrian and cyclist safety, and longer-term improvements to the new streetscape guidelines. Discussion of NoMa / Mount Vernon Triangle Bicycle Network Study – DDOT recently concluded a study of bicycle infrastructure and ridership patterns in the NoMa and Mount Vernon Triangle areas. The study looked at the region between 6th St NW and 6th St NE, and K St to M St. Current bicycle facilities in the NoMa area primarily follow north-south corridors, and DDOT wanted to explore ways to improve east-west connectivity through safe, convenient, and low-stress routes. DDOT released a report that outlined existing conditions, evaluated bicycle infrastructure in the context of other DC multimodal plans (e.g. Move DC), highlighted known ridership patterns, and provided recommendations for new bicycle infrastructure. Friends of Southeast Library (FOSEL) meet at 5:30pm at SE Library, lower level.